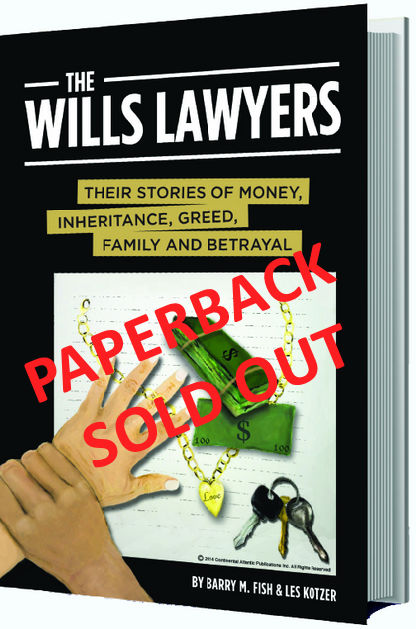 Download the digital version of THE WILLS LAWYERS book for $14.99 and receive the digital version of THE FAMILY FIGHT... Planning to avoid it book absolutely FREE!! "If you love or hate your family... Read this book!" 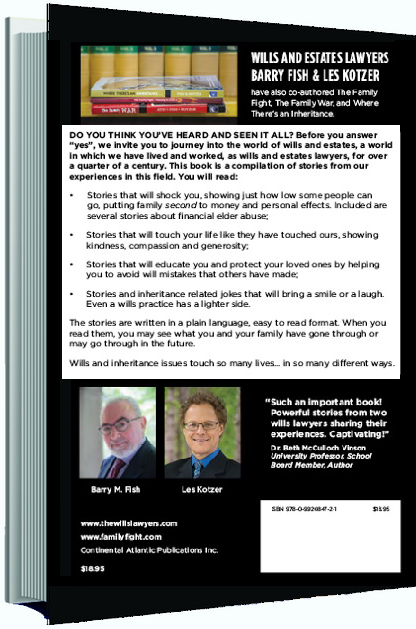 In this book, Wills Lawyers Les Kotzer and Barry Fish take you inside their world of wills and estates. You will read wills and inheritance stories that will shock you, touch your heart and make you smile.